The stunning result was that in this task, the chimps proved ‘smarter’ than human children. 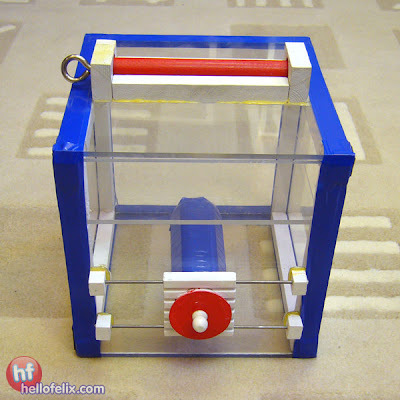 If the box was opaque chimps and children were unable to look at the internal workings of the puzzle box and were thus unable to assess which steps were necessary and which unnecessary. In this condition, both copied all the actions shown by the demonstrator. However, if the the puzzle box was transparent, and children and chimps in principle were able assess which steps were necessary and which were not, chimps only copied the relevant actions – and human children still copied every action, including all the obviously unnecessary ones. differences in the behaviour of chimpanzees and children can best be explained by a combination of a differential focus of attention on actions, results and goals, with the latter possibly influencing the interpretation of the actions of the demonstrator as purposeful. However, they also see this as part of a more general tendency of adhering to cultural conventions and norms (Whiten and Horner 2005: 164), something which, albeit in a rudimentary form, is also present in chimpanzees (Whiten et al. 2005: 164). Humans, from very early in life, have a strong motivation to share experiences and activities with others, and to align themselves with and be like others (Carpenter 2011: 122). That is, from an early age children show some sensitivity for social conventions and norms, and have a desire to conform to them. For example, Raoczy et al. (2008) showed 2- and 3-year olds how to play a new game and then had a puppet come in and play the game in a different way. This led the children to protest and correct the puppet, showing the puppet the way “it ought to be done” (Rakoczy et al. 2008, Carpenter 2011: 118). Even more strikingly, by age 3 young children often conform to the opinion of the majority, even when the majority is clearly wrong. 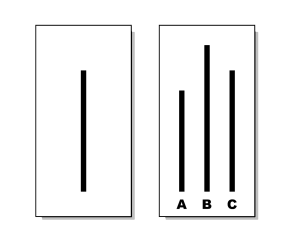 Walker & Andrade (1996), for example, presented children aged 3 to 6 with a card with a black line on it and then asked them which one of the three lines on a second card was the same length (the Asch test). When the majority of their other classmates (who were told to give wrong answers) in the room gaveswrong answers about which line is the same, young children conformed to the wrong majority opinion. In contrast, in a control condition withouth this kind of conformity pressurethey pointed out the correct line. Overall, imitation, conformity, and overimitation clearly prove to be an important part of what makes us human, but is it really right to say that chimpanzees “Don’t Give a Hoot About Unnecessary Actions”? Well the problem is that Whiten and Horner’s experiments where done with wild chimpanzees. But what about enculturated chimpanzees raised by humans? And what are the foundations of overimitation in humans? At what point in development do they start to become sensitive to the goals and intentions of others? Carpenter, Malinda (2011): “Social Cognition and Social Motivation in Infancy.” In: Usha Goshwami (ed. ): The Wiley-Blackwell Handbook of Childhood Cognitive Development. 2nd Edition. Malden, MA [et al. ]: Blackwell, 106-128. Rakoczy, Hannes, Felix Warneken and Michael Tomasello ( 2008 ): “The sources of normativity: Young children’s awareness of the normative structure of games” In: Developmental Psychology 44:875 -881 . Walker, M. B., & Andrade, M. G. ( 1996 ).“Conformity in the Asch task as a function of age.” In: Journal of Social Psychology, 136, 367–372 .